Today, I’d like to tell you about a garden. A diamond of our world heritage. For centuries, its multiple facets have captivated, and drawn people to live here and create a welcoming land where talent, creativity and determination can flourish. And this land is my land. I’m passionately attached to it and believe that we all have the desire to become custodians of the places we love and the places in which we have decided to spend our lives. 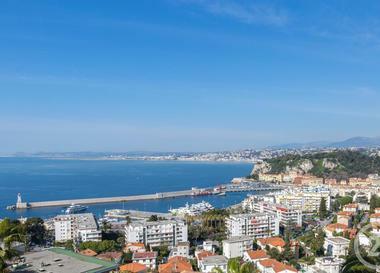 In the 19th century, Nice was the garden city of Europe - and soon will be again. Did you know that almost 75% of the surface area of our 49 metropolitan areas in Nice Côte d’Azur are either natural or agricultural spaces? This exceptional heritage is a veritable asset and that is why we made it one of our main development priorities. In Nice, the countryside is everywhere you look. Your gaze is drawn to the sea, the hills and the Alps. In the heart of our city, we have created a 12-hectare park featuring varieties of trees from every continent; the park has attracted millions of visitors since it was created. A new stretch of palm trees has further enhanced the Promenade des Anglais along with a future 35-hectare landscaped park in the Plaine du Var where we are building the Nice of 21st century. Once again, we are becoming the green city of the Mediterranean. But this garden city is not solely to be admired or visited by holiday-makers. Its strength and attractiveness lie in the large-scale transformations we have been undertaking since 2008 thanks to significant developments in the economy, technology, universities and science. Today, countless horizons are opening before us. The national interest initiative covering 10,000 hectares in the Plaine du Var has resulted in a new landscape dedicated to innovation, research, sustainable development and a town-planning approach that is a model of ecological transition. We are one of the world’s leading smart cities and the European Union has appointed us Innovation Ambassadors for Europe. We hope that we will be an inspiration to other cities. We like to think that the Garden of Eden was not destroyed but is here before our eyes.